Happy Friday Foxy Friends! Another fabulous guest post today, this time it's Adreonna from The Keele Deal, she's a cute mama, raising a sweet little man and traveling and exploring is her thing with her hubby. Now onto a real life story...that's kinda funny. A couple of nights ago we needed to run to the grocery store for a few things. As we were getting ready to leave I gave our toddler the car keys, this is a common ritual at our house. (Our little guy likes to hold the keys and walk to the van, then he will hand them back so we can unlock the door and get him in his car seat.) I gave him the keys thinking we were about ready to walk out the door, then my husband remembered he needed something upstairs so he ran up and then I got distracted by something. Then we heard the toilet flush! At first we didn't know if he still had the keys when he flushed the toilet or not. Once we searched the whole house twice we finally acknowledged what we already knew, he had flushed the keys. In case you're wondering, YES a set of car keys will go down the toilet. Knowing the car keys had gone down the toilet here are the next steps we took. Step 1: Search the House AGAIN! I know we already searched the house, but we really, really hoped that he had dropped the keys somewhere before reaching the bathroom. No such luck. Step 2: Google - Can Keys get flushed down the toilet? Keys are heavy (especially when there are like 4 of them on a ring), they can't get flushed, right? Wrong! After searching on google I found that it's quite common for keys to get flushed down the toilet by toddlers as well as adults. 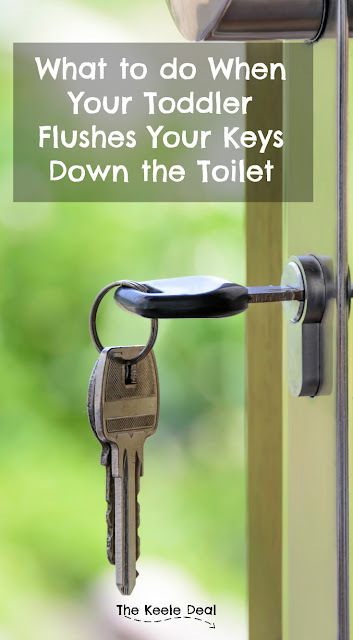 There are a surprising number of articles about how to get your keys back after flushing them. An article on eHow says all you need is a wire coat hanger. Yes, Jared and I really talked about if we would want to use keys that have spent time in the toilet. We came to the conclusion that since they are metal they could be sanitized. After finding a wire hanger Jared spent 10+ minutes trying to get the keys out of the toilet. The other options we found included taking the toilet off and trying to see if it was still in the back of the toilet or calling a plumber. Since we are renting we decided taking apart the toilet probably wasn't the best idea, and a plumber is more expensive than getting new keys. These Toilet locks are a best seller on amazon, plus they are inexpensive and easy to install. If your smarter than me you will install toilet locks BEFORE your toddler gets your keys. Have your kids ever flushed anything down the toilet? Did you get the item back? 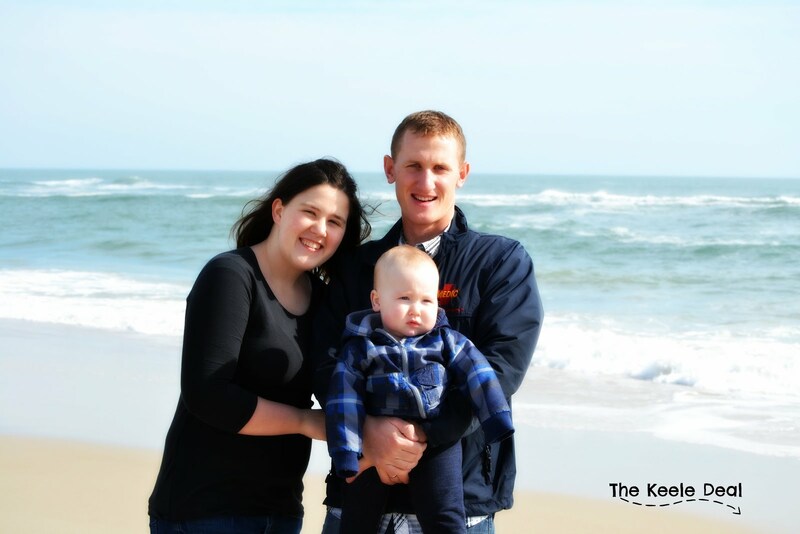 Adree is a mom of soon to be two kiddos, from the west living on the east coast. She loves traveling, photography and doing everything she can with her family. She blogs about everyday family life as well as family travel.